The site of this market has been a trade center in London dating back to the Roman period, but its current visage was constructed in 1881. Like the Hay’s Gallery, it is enclosed by an amazing wrought iron and glass ceiling, which shelters the various shops and bars within. The Victorian redesign of the original stone marketplace was by none other than Horace Jones, the Architect and Surveyor of the City of London from 1864 to 1887. Though he is best known for the Tower Bridge, Jones was responsible for several markets around the city. Unfortunately most of them have been destroyed, damaged or moved in the century that followed. I passed through the Leandenhall Market complex on a weekday at happy hour, and many of the city’s well-dressed businessmen were enjoying an after-work cocktail near the main intersection of this pedestrian area. I wandered around some of the side streets and also found an incredible hanging sculpture made out of books that look like they are flying around the halls. 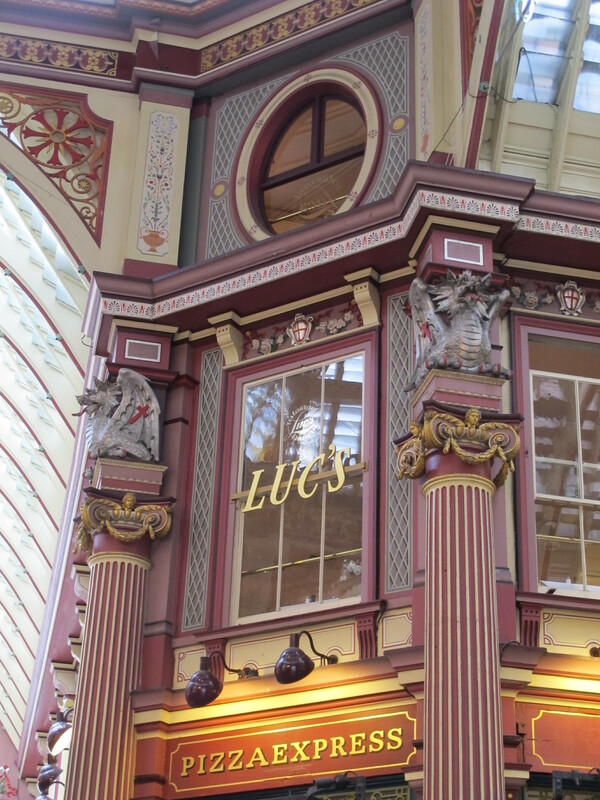 On a side note, The Leadenhall Market has appeared in several films, including as the access point for Diagon Alley in Harry Potter and the Sorcerer’s Stone. Like what you see? Check out my posts about The Sherlock Holmes Museum, The London Museum of Water and Steam, and The Tower Bridge! One thing I really liked about it was that the structure blocked out most of the road noise. I stumbled upon it by accident, it happened to show up on my Google map and it was on my way to another destination that ended being a bust so I am really glad I took the detour!